Nicki Minaj, announced today the North American dates for her “The Pinkprint Tour”. The tour is set to start on July 17 in Dallas, Texas at the Gexa Energy Pavilion.The tour plans to make stops in Brooklyn, Atlanta, Toronto, Vancouver, Chicago and San Diego. Nicki plans on bringing along her rumored bae, Meek Mill, and other guest Rae Sremmurd, Tinashe and Dej Loaf. 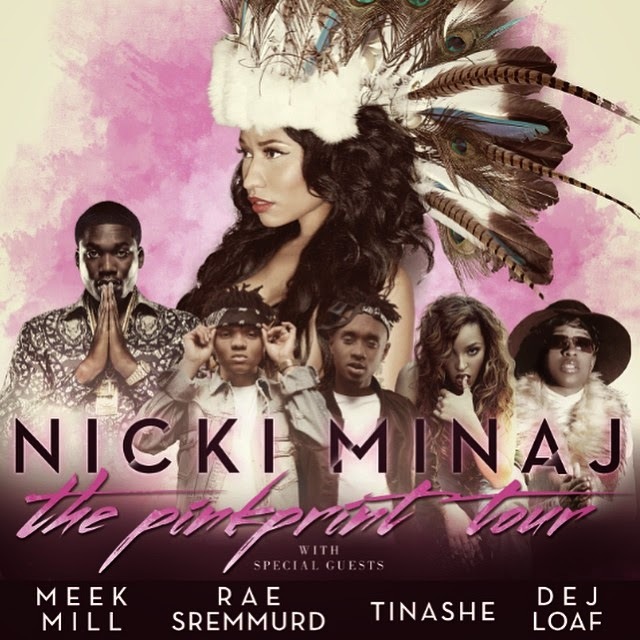 The European leg of The Pinkprint Tour is set to kick off on March 16 in Stockholm, Sweden.